Leasing a rental property is not unlike the Olympic Games — some contests are so close the participants are difficult to distinquish, while in others, there is a clear front-runner. And, like any competition, shopping for a rental property is stressful for applicants. Some candidates are angry they took the time to fill out an application only to find there are three other applicants in line. Others are frustrated that they were not allowed to apply at all, and may feel they’ve been discriminated against. Rejection causes hard feelings, and combined, these factors can cause legal problems for landlords. A landlord has significant latitude in choosing the right applicant. However, having a policy for applicant selection in place will minimize conflicts, and increase the chances for landing the best tenant. How Many Applicants is Enough? Some landlords accept the first qualified applicant to apply. There is nothing wrong with that strategy. It’s quick, and it lowers the risk of a discrimination claim. One downside: missing out on even better applicants. If you are happy with your first candidate, it’s still a good idea to take backup applications, in the event the first-in-line passes up the property, or tenant screening reports turn up something negative on that applicant. Being honest and letting the second-in-line know they are a backup will best serve the landlord’s reputation, and minimize the risk that the second candidate feels slighted or suspects discrimination. Based on the quality of the rental applications, consider a limit to how many backup applications to accept. Hold off running tenant screening reports on the runners-up until the backup application is the one under consideration. There is no rule that says a landlord must take the first applicant in line. However, without careful documentation, a landlord who solicits multiple applications becomes vulnerable to a claim that the landlord is discriminating against certain persons. Multiple applications can be solicited through ads, or at an open house. This process can be simplified by setting a specific deadline for applications under consideration, or limiting the number of applications accepted. Rating multiple applications would be easier if a landlord were comparing apples to apples. Instead, it’s likely apples to oranges. The first applicant may have sufficient income, but has a pet. Perhaps the next applicant has a better profile, but can’t move in until next month. Someone else may want to make changes to the property or bring in roommates. It is important to understand what factors cannot be used to rank applications — things like race, disability, or source of income. Discrimination claims often stem from a landlord who vacillates on the stated requirements, allowing special consideration for one applicant, but not for all. There are a number of acceptable reasons for ranking a candidate lower than the others — a confrontational personality, they have a pet, they smoke, they have a choppy rental history. So long as these factors are applied uniformly and are not designed to block a protected class of individuals, the landlord can apply rankings. A ranking system should be based on the stability of the applicant — proof of financial responsibility, and a solid rental history. Once the best-rated candidate is identified, run tenant screening reports to confirm the information provided and your impressions of the candidate. Then, speak with the current and past landlords to rule out problems. Whatever method you use for choosing candidates, avoid making promises regarding their chances of renting the property. While it’s tempting to encourage a candidate so they don’t go somewhere else, leading someone on can generate legal problems if that person relies on the statements, and turns down other rentals or gives notice to their current landlord. What If All the Candidates are Mediocre? Does a landlord have to accept the least offensive of the available candidates, even if that person falls short of expectations? If no one candidate appears fit to take the gold, rather than compromising on your standards, it may be better to take a step back. Consider the expense of evicting a problem tenant, which could takes weeks, even months, while they occupy the property rent-free. This expense likely will outweigh the cost of any short-term vacancy. Evaluate why you are not attracting better candidates. Do you need to change the ad? An ad that targets a specific demographic will discourage otherwise qualified candidates from applying. Is the timing wrong? Most renters start looking a month or more out. Does the ad set out the qualifications you are looking for? Pet-friendly, nonsmoking properties are in highest demand. It is possible the rent is too high, or the property needs some upkeep to bring it into line with competing properties. It could be as simple as the time of year, and you are missing the larger pool of qualified candidates. 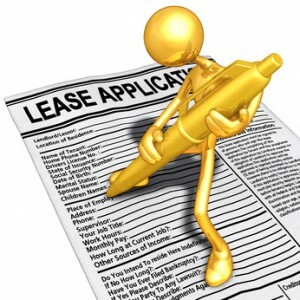 If that’s the case, consider advertising a shorter term lease — 6 or 9 months, to adjust the timing of future vacancies.